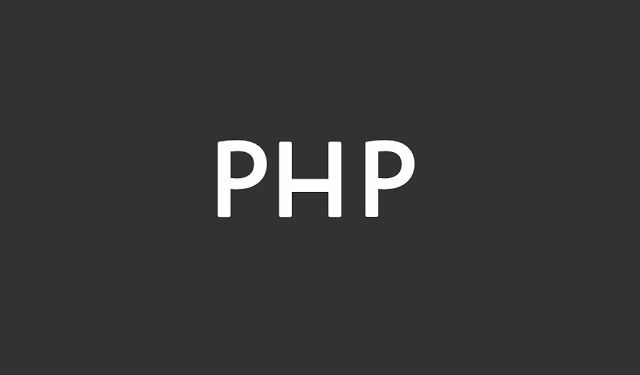 PHP stands for Hypertext Preprocessor. It is a recursive acronym, but that is not very important to know. More important than what it stands for, is what it actually is. PHP is an open-source, server side scripting language. That definition contains three components and we are here to impart a general understanding of these. First, PHP is an open source language. This means that the development and usage of the source code is open to the public, as opposed to private and licensed source codes. This essentially allows anyone to modify and use it without paying any sort of associated fee. The PHP Group develops and maintains PHP and developers or companies do not need to pay a licensing fee to that organization in order to utilize the language. Second, PHP is a scripting language. A scripting language is analogous to any other programming language both syntactically and semantically since as they are generally derived from more robust programming languages. PHP is used to write scripts which are automated commands designed to perform specific tasks. This makes PHP ideally suited for development on dynamic webpages, which is what PHP is predominantly used for. Zend is the primary scripting engine for PHP. Finally, PHP is a scripting language that functions on the server side. From the server on the back end of a system PHP retrieves data and then returns that information to the browser, embedded in HTML code so the browser can read and exhibit it. Web development can be a frantic process, primarily when one lacks the necessary tools to get going. We choose PHP as the base language for our web application development work. We use this in conjunction with a PHP framework to ensure the PHP web applications we build are fast, scalable, easy to use and offer superior performance. For web applications that are coded in PHP, CodeIgniter and Laravel are, perhaps, two of our most preferred frameworks. To know more, check out our services for PHP web application development, Laravel web application development and CodeIgniter web application development.